Pictured is the Refined restaurant kitchen. If you are sick of cooking or want to take your family out for a treat here are the top 10 child friendly restaurants in Mansfield, according to TripAdvisor. 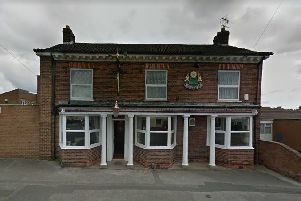 The Hostess can be found in Sookholme Road, Mansfield and is open Sunday 9.30am to 4pm, meals served 12.30pm to 1.30pm, Monday and Tuesday it is closed for private functions, Wednesday and Thursday 9.30am to 1.30pm and 5.45pm to 11pm, carvery served 6pm to 8pm, Friday 9.30am to 1.30pm and 7pm to midnight, meals served 7.30pm to 8.15pm and Saturday 9.30am to 1.30pm and 7pm to 12.30am, meals served 7.30pm to 8.15pm. Kids under 10-years-old eat free every Wednesday and Thursday between 6pm and 8pm throughout August. Located in Westfield Lane, Mansfield, the Red Gate is open Monday to Sunday 12pm to 11pm, the restaurant openings times are Monday to Saturday 12pm to 2.30pm and 5pm to 8.30pm (last sitting) and Sunday 12.30pm to 3.30pm. The kitchen is closed all day on Tuesday. The Red Bar and Grill in Bancroft Lane, Mansfield is another eatery where kids eat free thorughout the school holidays between 12pm and 4pm. Food is served Monday to Thursday 11.30am to 9pm, Friday and Saturday 11.30am to 10pm, Sunday 11.30am to 5pm and 6pm to 9pm. Meals on the children’s menu include sausage and mash, hot dog and mac and cheese and come with a soft drink. Located in Rectory Road, Upper Langwith, Mansfield, The Devonshire is open Monday to Saturday 11.30am to 11pm and Sunday 11.30am to 7pm. The children’s menu offers two course for £7.95 and includes cheeseburger, fish and chips and for dessert there is ice cream, fondue or sticky toffee pudding. They also offer child sized portions of the main menu dishes. andwhynot Bar and Restaurant can be found in Leeming Street, Mansfield, and the restaurant is open Tuesday to Saturday 11.30am to 5pm, Tuesday to Thursday 5pm to 9pm, Friday and Saturday 5pm to 9.30pm and Sundays from 11.30am to 4pm and 6pm to close. Childen’s meals include BBQ chicken melt, lasagne and jacket potato. In Nottingham Road, Mansfield, Il Rosso is open for breakfast Monday to Saturday 8am to 12pm and Sunday 8am to 11.30am, for lunch Monday to Saturday 12pm to 5pm, and then Monday to Saturday from 12pm to 11pm (last food orders 10pm) and Sunday 12pm to 10pm. A children’s menu is available for kids under 10-years-old and offers two courses for £5.95. Main courses include pizza, pasta and fish and chips. Refined can be found within Vision West Nottinghamshire College in Derby Road, Mansfield. Wednesday is a theme evening with dinner served at 6.30pm, 7pm and 7.30pm, lunch is served on Thursday and Friday at 12pm, 12.30pm and 1pm, dinner is served at 6.30pm, 7pm, 7.30pm and 8pm and Sunday’s at 12pm, 12.30pm, 1pm, 1.30pm and 2pm. This Italian restaurant in Bridge Street, Mansfield, is open Tuesday to Thursday 5pm to 9.30pm and Friday to Saturday 5pm to 10.30pm. This children’s menu offers a drink, pizza or pasta and a drink for £7.50. Located in Nottingham Road, Mansfield, Ciao Bella, is open Mdnday to Sunday from 11am to 11pm. The Golden Eagle can be found in Oakleaf Close, Mansfield at the Sherwood Oaks Business Park. The opening times are Sunday 12pm to 9pm and Monday to Saturday 12pm to 10pm. There is a designated under five’s zone and and outdoor play area. The children’s menu is split into two age groups and meals include fish fingers, burgers and a chicken dinner.